Leading up to its release in 2010, Iron Man 2 faced nearly insurmountable expectations. Following Iron Man’s unexpected critical and commercial success two years prior, a sequel was inevitable. However, this time all eyes were on Marvel Studios to deliver a quality sequel. Unlike its predecessor and The Incredible Hulk, Iron Man 2 had the difficult task of fulfilling the promise of one of the most exciting superhero movies of the modern era. At the same time, Iron Man 2 had to serve the needs of the larger cinematic universe that was teased in those first two films. 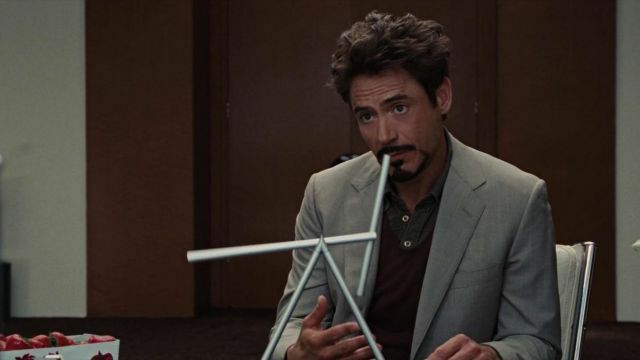 As it turned out, Iron Man 2 ended up being crucial to the setup for the three ensuing MCU releases, most notably The Avengers. Although this was necessary to ensure the success of the franchise, it did so at the expense of the sequel’s story. Marvel Studios put Iron Man 2 on the schedule without any sort of development beforehand. Most of the actors had signed three picture deals with Marvel. But key creative figures – most notably Jon Favreau – had no contract to return for a sequel. Naturally, Marvel wanted to replicate the first film’s success. That meant bringing back Favreau, cinematographer Matthew Libatique, and Stan Winston’s former team at Legacy Effects. However, Favreau was hesitant to take on a sequel because there was no story – let alone a script – when Iron Man 2 received it’s the late April 2010 release date. After months of negotiations, Favreau and the team eventually signed on for the sequel. Now all they needed was a writer. Favreau and company had joined Iron Man with a relatively strong story already in place. Favreau had considerably less time to develop the sequel due to the constraints of the release date. Moreover, Favreau would also be partially responsible (along with Downey) for crafting the story. While Shane Black apparently consulted on the story, the duo eventually sought out Justin Theroux to write the script, when he was fresh off of collaborating with Downey on Tropic Thunder. The trio settled on a story that would explore Tony’s alcoholism. However, Iron Man 2 wouldn’t be a direct adaptation of the famous “Demon in a Bottle” storyline from the comics. Instead, the story became focused on the legacy of Tony’s father, Howard Stark. And it took dozens of drafts to make the plot work. Now that Theroux was hard at work on the script, it was up to Favreau to fill out the remainder of the cast. But there was one holdout – Terrence Howard. It turned out that Howard was actually the highest paid actor in the first film. Favreau apparently didn’t have the best experience working with Howard. Marvel also felt that Howard’s salary wasn’t worth the price. Howard was reportedly offered a rate that was significantly lower than his contract called for. It’s unclear how it happened, but negotiations eventually broke down. Marvel essentially stated that Iron Man 2 would be successful “with or without” Howard. 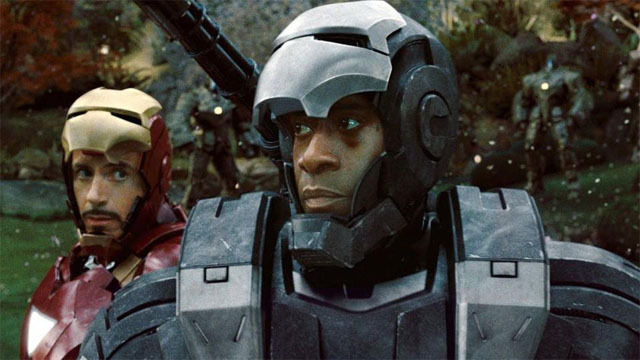 Don Cheadle was apparently more willing to play in the confines of Marvel’s sandbox, and he eventually replaced Howard as Jim Rhodes/War Machine. In addition to the fallout with Howard, Marvel was coming out of a contentious situation with Edward Norton during the making of The Incredible Hulk. Marvel Studios quickly developed a no-tolerance policy after these early shenanigans nearly derailed their franchise. Consequently, the Marvel brass became notorious for low-balling their incoming actors. It’s highly likely that these early issues with talent shaped Marvel’s casting process. The focus shifted from established Hollywood personalities to relatively unknown talent. However, there was another necessity moving forward: massive multi-picture deals for their key performers. 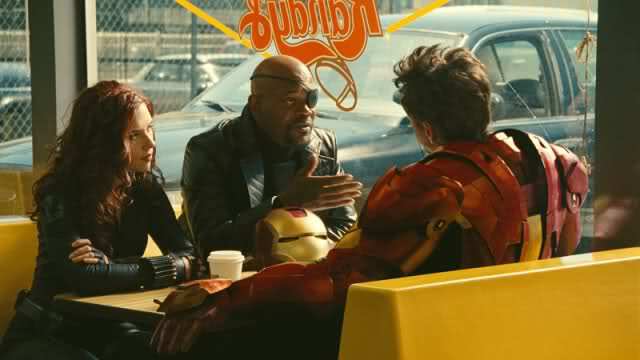 Samuel L. Jackson’s Nick Fury was a crucial piece of the larger puzzle that had yet to be locked down. Jackson’s now-iconic cameo in the first film was shot after principal photography when The Avengers film was still just a pipe dream. Therefore Jackson wasn’t tied to a long-term contract. Iron Man 2 presented the perfect opportunity to wrangle Jackson’s Fury into the larger plans of the MCU. However, negotiations initially sputtered out and Jackson refused to be low balled. He also expressed his displeasure with the initial offer to reprise his role. Regardless, the studio seemingly supplemented the low offer with a supremely lucrative nine-picture deal that included appearances in The Avengers and its sequels. After Jackson signed on, Iron Man 2‘s production and subsequent release were relatively smooth. In many ways, Iron Man 2 marked the first time that the grand plans of the MCU actually began to unfold. Unfortunately, it also proved the limitations of those plans by delivering a sequel that was a hollow shell of it’s predecessor. It introduced Black Widow, expanded Fury’s role, and even set up Thor. But it did so at the expense of the actual story it was telling. Marvel Studios had begun to fulfill their grand plans for the MCU. But to do so, the filmmakers willingly sacrificed the integrity of the sequel. The film rushed through both the core of the story as well as Tony’s own inner struggle. It even defied the logic that was established in the original. As Favreau points out in the commentary for Iron Man 2, it’s tough to make a sequel that doesn’t just repeat the same arc of the first. Although the film certainly avoids this, it’s just not a worthy follow up. Iron Man 2 is not a bad movie. However, it is a disappointment because it’s simply not a very good Iron Man story. One of the reasons that Iron Man worked so well was the fact that it was rooted in some reality. 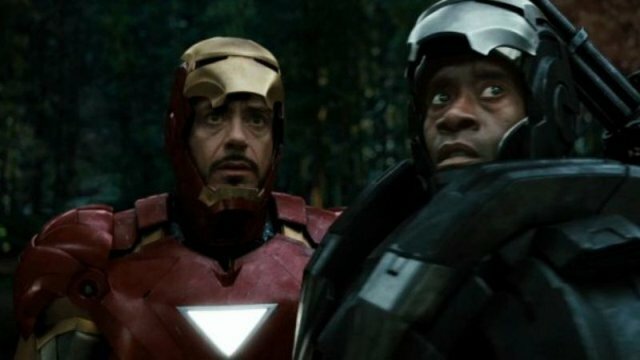 Favreau and Downey convinced audiences that Tony Stark really could make an Iron Man armor, even in a cave! Unfortunately, the sequel left reality behind for a series of events that ultimately felt increasingly fantastical. Perhaps this was a result of preparing audiences for greater and greater leaps in logic down the road. But this divergence from Iron Man‘s grounded approach ultimately began to show some of the drawbacks that come from a shared universe like the MCU.